ef note prepared for the World Bank and presenting the characteristics of the Lebanese economy and the developments that took place during the (controversial) period of 1998-2000. It aims at evaluating the macro risks and the economic and financial sustainability. Note prepared for the World Bank and analysing the economic function and the financial situation of the Lebanese banking sector. The study aims at assessing the types and scales of the risks facing a business that produces goods and services intended for domestic consumption in Lebanon, under various hypotheses of evolution of economic policies. The text criticizes a project of law (that has been passed later on) establishing a segregated account for the Treasury that allocates, with a privilege, the proceeds of privatization, the foreseen primary surplus in the budget and the proceeds of the sale of future public revenues (hidden under the title of securitization), to the debt service. This privilege is not different in its principle from the formulas of the Public Debt Funds that the colonial powers imposed on the Ottoman Empire or on Egypt or on China in the XIXth century but in the fact that the action is voluntary in Lebanon! The project of law introduces a fundamental inequality in the responsibilities of the state in favour of the creditors and reduces almost to nothing the margins of action of the state. The critic was the base of a written question and a procedure of invalidation in front of the Constitutional Council that were presented by a group of deputies and were unsurprisingly rejected. The text is still valid but is not applied in practise because of the many internal contradictions it bears. Analytical and prospective document, written on the spot, less than one month after the holding of the Paris 2 Conference (where nearly 3 billions USD were advanced to the Lebanese Government at concessionary conditions and with no conditionality). The document replaces the Paris 2 operation in its effective financial and political context, taking into account of the propaganda and the cosmetic simulations. It assesses its impacts on public debt, on the Central bank, on commercial banks and on the main macroeconomic aggregates. 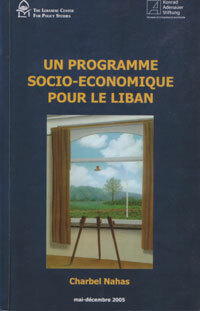 It shows, in particular, the amplification effect that the Central Bank realized with the Lebanese banks and that goes far beyond the strict effect of the Paris 2 operation, underlining the particularities of the behaviours of the international and domestic actors: politicians, bankers and financiers. Paris 2 appears in this perspective as a coordinated international political action (mainly French-Saudi) aiming at a financial rescuing that would preserve the status quo in Lebanon and Syria, and achieved in a narrow and very particular political window, coupled, internally, with a taming action, led by the Central bank, of the banking sector, with a major reallocation of financial risks. This work constitutes the first attempt ( and probably the most serious until now) to present a detailed, quantified and scheduled action plan aiming at correcting the serious distortions that affect public finance in Lebanon. 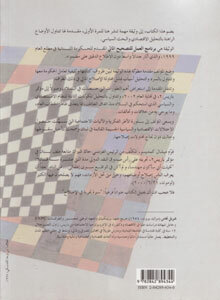 It has been carried, on a voluntary basis, by the author and Makram Sader (with the assistance of Iskandar Moukarbel and some young economists), in the end of 1998 and in the beginning of 1999 and submitted to the Lebanese Government who constituted a Ministerial Commission that held regular weekly meetings to discuss it. 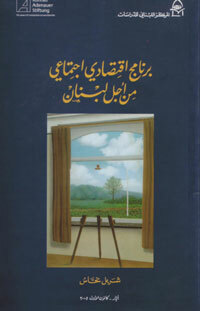 The document has been published in 2003, accompanied by a detailed study of the conditions of its elaboration, the circumstances and the reasons of the failure of the attempt of reform and an analysis of the subsequent economic and political developments, under the title “The chances of avoiding the crisis and the conditions of overcoming it; story of an attempt of reform” (in Arabic), Dar al Nahar, August 2003, 327p. The book takes into account the dramatic developments that occurred during 2005 and aims at participating in the search for an exit from the political deadlock by proposing a program for socioeconomic action. 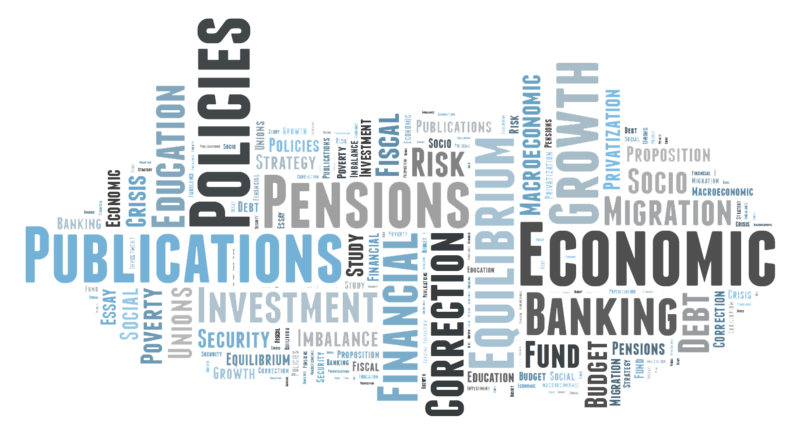 This document updates the proposals of financial reform presented in 1999 and broadens them. It fits in the perspective of the long awaited debate on the reconstruction of the Lebanese state structure after the civil war and the period of the Syrian hegemony. Thus it is first addressed to the Lebanese but also to the external parties, states and international organisations, who have been showing for a period of time a really exceptional attention to Lebanon, hoping to contribute in minimizing the extent of reciprocal (and asymmetric) manipulations between the interior and the exterior. This proposition of law has been presented by a group of MP’s from the “Block of Change and Reform” in June 2006. 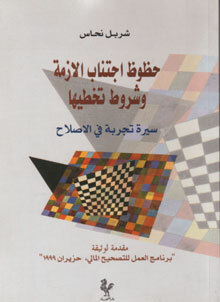 The text integrates the previous formulations on the same subject, since Hoss’s Government in 2000, going through the Ministerial Commissions set up by the various Hariri’s Governments under the chairmanship of Issam Fares, up to Karame’s Government who, after substantial amendments to the project prepared by the Commissions, sent a bill of law to the parliament. make the new system immediately applicable by organizing the cut-off in the law and by implementing a direction body to manage the transition, enjoying the full powers of the Board, without waiting for application regulations that might never come or that might wait for the usual sectarian and clientelistic arrangements. This text might create a breach in political landscape because it organises a balanced arbitrage between the interests in place. It also sets the reforms and the dialogue with the international organisations on a clear and tangible base.